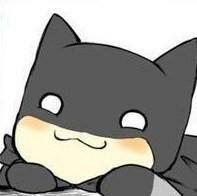 Chibi Batman!. . Images in the Random club. This Random icon might contain cleaver, meat cleaver, and chopper.